Grew up… surrounded by criminals. Even though Livia had always been on the outside of her husband’s mafia life, she was the one with the true sociopathic disposition. Livia can manipulate and terrorize like a true gangster. Profession… housewife, now retired. Livia was “Johnny Boy” Soprano’s trusted wife and companion. Being married to the mob is a serious profession. Relationship Status… widowed. 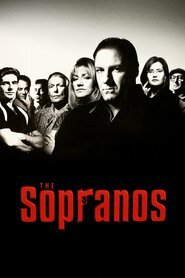 “Johnny Boy” Soprano passed away from emphysema years ago, leaving Livia alone. Now that she’s getting older, her son Tony has to take on the responsibility of caring for her. Tony’s flighty sister Janice can hardly be relied upon. Personality… morose and criminally manipulative. She constantly torments her family and friends, all while perceiving herself as being the true victim. Consider one of her favorite catchphrases: “I wish the Lord would take me now!” One of these days, He will, and few will truly mourn Livia’s passing. Livia Soprano's popularity ranking on CharacTour is #4148 out of 5,000+ characters. See our top-ranked characters and read their profiles.